The Los Angeles Unified School District has finally finished testing the water at all 735 of its schools, to see which schools have lead-contaminated water. The testing reveals that the problem of lead contamination is more widespread than district officials originally thought. 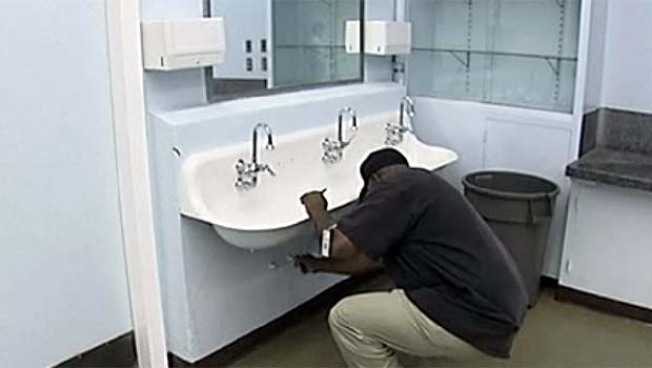 The five-month-long test program is a direct result of an NBC4-exclusive investigation in April 2008, which revealed a lead problem at some schools. Now, LAUSD's own testing shows that 92 percent of Los Angeles public schools have some fountains or faucets dispensing water with levels of lead above what the U.S. Environmental Protection Agency says is safe to drink. During the five months of testing, LAUSD sampled the water at 66,000 fountains and faucets. More than 2,180 of those fixtures have been turned off indefinitely, because the lead levels tested so far above the EPA limit. The Los Angeles Unified School District has just finished testing the water at all of its schools, and the results reveal that lead contamination is far more widespread than the district had thought. District officials are now finalizing plans to replace pipes and fountains at up 678 schools, where elevated levels of lead were found in the water. LAUSD says it will take one to two years to do this repair work, which will hopefully make the water lead-free and safe to drink at all schools.